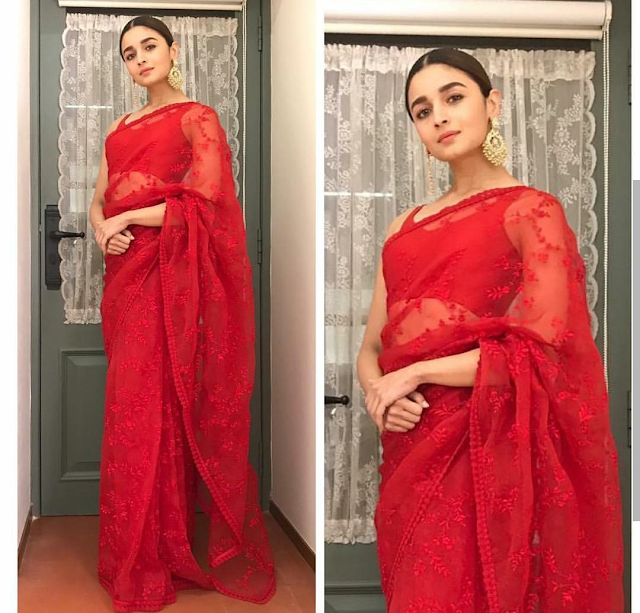 Alia opted for a red Sabyasachi sari for attending the Reel Movie awards held recently. Wearing her hair in a middle parted sleek updo, she completed her look with big kundan earrings from Sabyasachi’s jewellery label. Nothing novel about the look but that is not to say Ms. Bhatt looked bad, she did look lovely here! She is beautiful. Have a great day! I love the color red- so bold! Que lindo esse vermelho, achei um luxo.